PORTLAND, Ore.–Scientists are working to dramatically speed up the development of fusion energy in an effort to deliver power to the electric grid soon enough to help mitigate impacts of climate change. The arrival of a breakthrough technology–high-temperature superconductors, which can be used to build magnets that produce stronger magnetic fields than previously possible–could help them achieve this goal. Researchers plan to use this technology to build magnets at the scale required for fusion, followed by construction of what would be the world's first fusion experiment to yield a net energy gain. One potential solution to this could be increasing the strength of the magnets. Magnetic fields in fusion devices serve to keep these hot ionized gases, called plasmas, isolated and insulated from ordinary matter. The quality of this insulation gets more effective as the field gets stronger, meaning that one needs less space to keep the plasma hot. Doubling the magnetic field in a fusion device allows one to reduce its volume–a good indicator of how much the device costs–by a factor of eight, while achieving the same performance. Thus, stronger magnetic fields make fusion smaller, faster and cheaper. 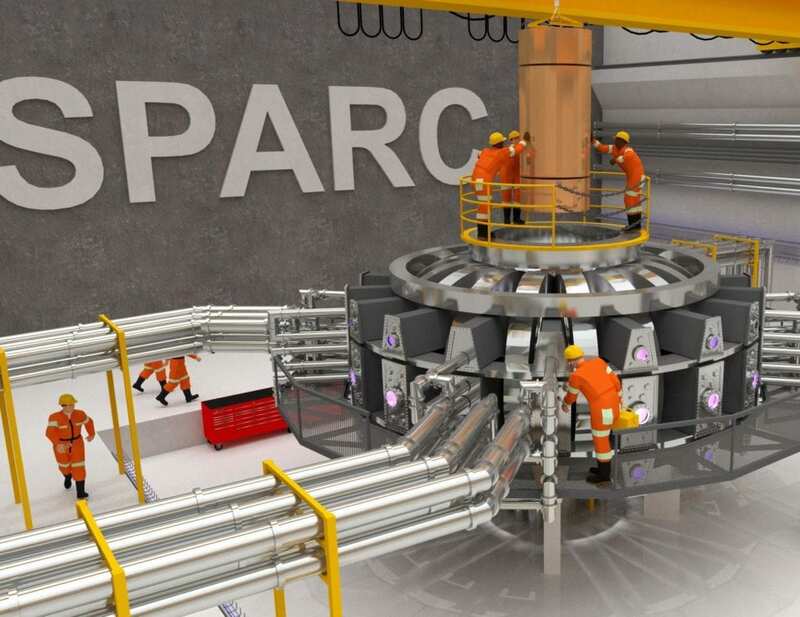 Once the magnet development is successful, the next step will be to construct and operate the SPARC fusion experiment. SPARC will be a tokamak fusion device, a type of magnetic confinement configuration similar to many machines already in operation (Figure 1).